What's not to love about this LBD with its mesh top, peaked collar and billowing skirt? Who would've known that putting all those traits together can work so seamlessly in one dress that's flattering for all body types?! I want it! And if so do you, here's our chance to get it for free! ROMWE is giving away this dress to one lucky winner and all you have to do is visit this LINK and leave a comment. The comment with the most "likes" gets the dress! 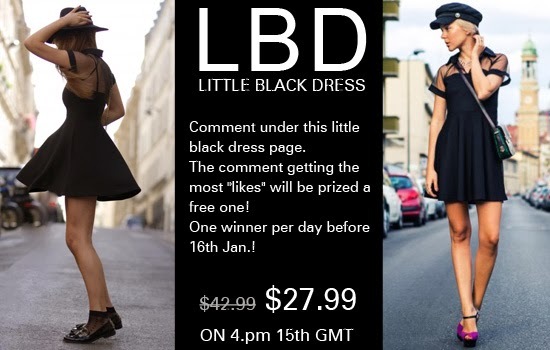 If you prefer instant gratification, get this dress for another 10% off its already slashed price by using this coupon code: LBD10%off.